Tory Historian was brought up to believe that dates are the backbone of history. This is not a particularly popular view among school teachers and examiners nowadays, which may account for the number of people who find history boring. Boring? How can one find it boring? It’s about people and what they did and why. Tory Historian was also, as mentioned in at least one previous posting, brought up by a historian father whose memory for historical dates was phenomenal and who related any date and any set of figures to a well-known historical event. Some things run in the family. So, what have we for today? What happened on this day in history and how was the world affected by any of them? 1517, for all those who did Tudors’n’Stuarts for history A level was the year in which Martin Luther posted his 95 theses to the door of the Castle Church in Wittenberg and that was on October 31. The outcome is of undoubted importance as the beginning of the split in the Western Christian Church and growth of Protestantism. Do we care about Houdini dying on this day in 1926 as a result of being punched in the stomach before he could prepare his muscles? Perhaps not, except maybe to point out that the man born, as Erik Weisz in Budapest, was another Hungarian who made his mark on the world. Well, no, that is not all that important. 1961, October 31 saw the removal of Stalin’s body from the Mausoleum after two denunciations by the then General Secretary of the CPSU, Nikita Khrushchev at the Twentieth Congress in 1956 and the Twenty-Second Congress in 1961, though it is possible that the body was beginning to smell a bit and, therefore, had to be burnt with the ashes placed into the Kremlin wall. 1776, October 31, saw King George III addressing the British Parliament (well, the House of Lords, to be precise) for the first time since the American Declaration of Independence. He announced the victory over George Washington’s forces at the Battle of Long Island, after which the War of Independence could have gone differently with, possibly, numerous Patriot officers executed as traitors. However, the defeated army was dealt with leniently and further negotiations were attempted. But the King was right: the campaign was going to be long and difficult and, as nobody fully realized at the time, victorious for the Patriots. A good day for the Anglosphere? Presumably, the Loyalists did not think anything was good about the War of Independence or its outcome. On this day in 1956 the British and French troops landed in the Suez canal zone, the Israelis having already swept through the Sinai. Suez deserves a separate posting and an article in the next issue of the Conservative History Journal, being a turning point in the development of the Western alliance after World War II. In 1984 on this day, Prime Minister Indira Gandhi was assassinated by two of her Sikh guards in revenge for the attack on the Golden Temple in Amritsar in 1984. 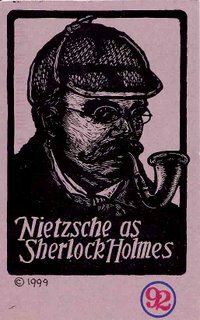 However, the most exciting event took place on October 31, 1892 with the publication of “The Adventures of Sherlock Holmes” as a volume. 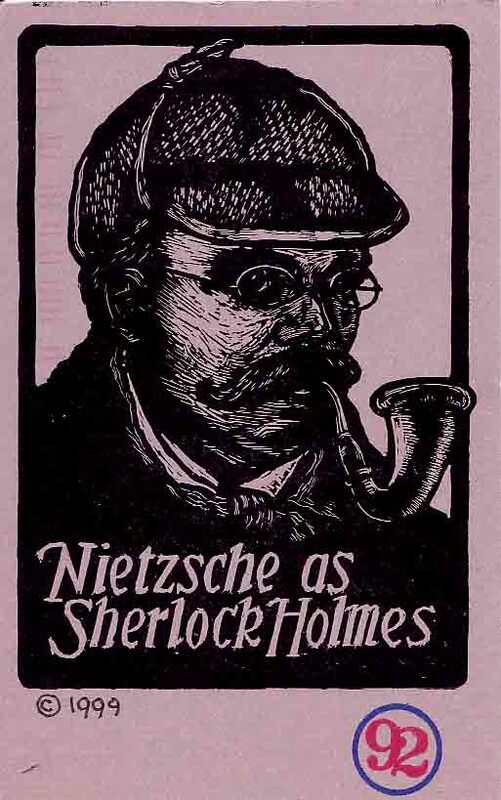 The first novella, “A Study in Scarlet”, had been published in Beeton’s Christmas Annual of 1887 and the individual stories of the collection had been coming out in Strand Magazine since 1891. But this was the first collection. A great day for all of us. People who enjoy eating sausage and obeying the law should not watch either being made. 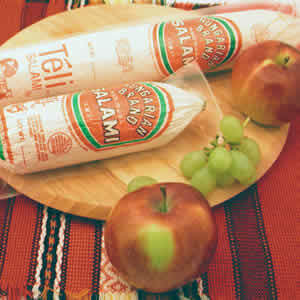 Despite all this, not all is well in the sausage world, with the frozen variety seeing sales slump by 9.6pc last year. At least, it's not as much of a crisis as the one that hit the sausage world 1,200 years ago when Byzantine Emperor Leo V declared the sausage-makers would be "severely scourged, smoothly shaved and banished from our realm forever". It's not clear what sausage-sellers had done to squeeze the emperor's casing. Still, Leo ended up being assassinated and therein lie some lessons for us all. It's clearly not worth getting in the way of this sausage machine. Leo V? One of the famous iconoclastic Emperors? Were the sausage makers in cahoots with the iconodulists, whose policies were associated according to Wikipedia, with Byzantine defeats by the Bulgarians and the Arabs? An interesting idea. was less ignorant than the greater part of his contemporaries in church and state, that his education had been directed by the learned Photios, and that several books of profane and ecclesiastical science were composed by the pen, or in the name, of the imperial philosopher. Be that as it may, Leo VI seems to have led as colourful a life as his predecessor and successors, many of whom were assassinated (Leo V, apparently, as he was praying in the Hagia Sophia). But there is one thing Leo VI did do that marks him out from the long list of Byzantine emperors: he outlawed the production of blood sausages after cases of food poisoning. This is clearly different from the banning of the eating of sausages, introduced by Constantine and supported by the early Christian Church, as the act was connected with the pagan Roman festival of Lupercal. Leo VI was clearly the predecessor of the modern environmental and health officers or, even, the Food Standards Agency. This autumn sees a number of important anniversaries; the fiftieth anniversary of the Hungarian Revolution and of the Suez crisis, as well as of the Melbourne Olympics with its notorious water polo match. Then there are the less important non-round anniversaries. October 23, 1942 saw the start of the Battle of El-Alamein and October 24, 1945 witnessed of the beginning of that glorious institution, the United Nations. By the time Poland became a founding member it had become clear that the country was not going to have an independent existence. In the Soviet Union they were busy imprisoning all those who were returning or were being returned from POW camps and those who had been displaced persons. Many of the all-conquering Red Army found its way to the camps, because they belonged to the wrong national group (Chechens, Ingushi and Tatars, for example) or because they talked too much about conditions in Europe even after a totally destructive war as opposed to conditions in the motherland. France was becoming embroiled in two ferocious and inglorious colonial wars: in Vietnam and Algeria. And so on, and so on. But the Charter was signed and the UN became a body to be spoken off with awe and respect despite its ever-growing shortcomings. Of course, it was even worse in the fifties and sixties when only very few people pointed out the chaos that ensued whenever the UN became involved (with the solitary exception of the Korean war, which could go ahead because the Soviets were huffing and puffing and wouldn’t occupy their chair or veto the resolution) and even fewer spoke of the lack of consistency between the Charter and the behaviour of the founding members. In preparation for one of the 50th anniversaries – of the Suez crisis – Tory Historian have been reading the newly published pamphlet by Sir Philip Goodhart, who was actually there, reporting for the Sunday Times. “A Stab in the Front” is distributed by the Conservative History Group and is well worth a read. There are depressingly familiar aspects to the crisis as described by Sir Philip from the day of Nasser’s nationalization of the canal to the outbreak of hostilities and their ignominious end (though the Israelis might not think so after the successful Sinai campaign). The most depressing part of it is the alacrity with which the Labour Party abandoned all intention to think clearly about the issues involved and started repeating the mantra of the United Nations. We must refer the matter to the UN. We must do as the UN says after an undoubtedly prolonged and agonizing discussion, sabotaged at all levels by the Soviet Union, by that time President Nasser’s main patron. the only slogan sillier than “My country right or wrong” is the “United Nations right or wrong. 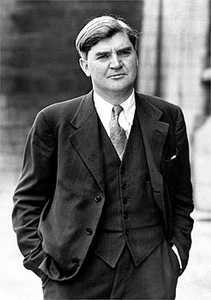 For once, Tory Historian has to admit that Nye Bevan got it just right. Tory Historian thought that readers of this blog would like to see this rather jolly picture of the three great men, who between them did more than anyone to create the Thatcherite revolution and the revival of the Conservative Party’s fortunes (well, so it looked at the time). The last of them, Lord Harris of High Cross (the one with the moustache) died yesterday of a heart attack. His end was swift and painless and he was active almost to the last minute, having been sighted in the House of Lords just a day or so before it. 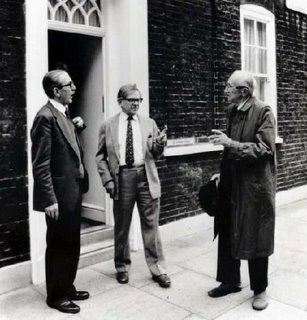 The last couple of times Tory Historian sighted the great man was at meetings of the Bruges Group. One was addressed by Jim Bennett, author of “The Anglosphere Challenge” and founder of the Anglosphere Institute and the other one by that stalwart Conservative historian and Anglspherist, Andrew Roberts on the subject of his new book: “The History of the English-Speaking Peoples Since 1900”. On both those recent occasions Ralph was greatly excited by the plethora of new ideas he was being presented with and by the notion that political discourse, of which he sometimes despaired, was moving into completely new and fascinating directions. He was the first in the queue to buy Andrew Roberts’s book (sending Tory Historian off to get him a glass of wine). On both occasions one could not help wishing for an old age that continues to be so full of intellectual vim and curiosity. And so it has proved for him. Way to go, Ralph. What will replace the old guard? Time to look at some other countries, says Tory Historian, guided as ever by recent reading. The historian in question is the late great Professor Leonard Schapiro, whose analysis of Russia and the Soviet Union have been equalled by few. Professor Schapiro’s oft reiterated argument was that free, just and democratic societies could exist only if there was a full understanding and acceptance of the rule of law within them. In particular, he was an admirer of the English common law, that had spread across the Anglospheric countries of the world (though, to be fair, he did not use that expression) and of the adversarial form of political and legal institutions in this country. Anyway, back to that reading matter. I have been reading and, in some cases, re-reading, Schapiro’s essays on various subjects and was greatly struck by his comments on the Nuremberg Trial in the first of those: “My Fifty Years of Social Science” first published in 1980. So far as I was concerned the most powerful single factor that rid me of any illusion that the Soviet Union might have changed after the war was the Nuremberg trial, and the way in which it entered into the fabric of international relations. Nuremberg was both an appalling travesty of international law, a craven acquiescence in and tacit acceptance by the Western powers of the principle that the grim record of the Soviet Union in its treatment of its population was beyond criticism. International law was traduced by the introduction of the new principle of law which certainly did not exist at the time the acts were committed that waging an aggressive war is an international crime. As regards the violation of human rights, the Western allies acquiesced in a Soviet demand for an amendment to the agreement setting up the Tribunal. 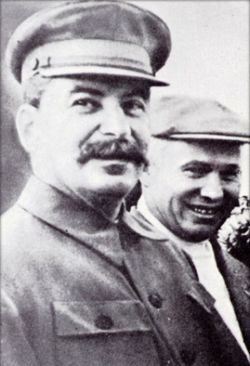 This consisted in the removal of a comma, and this had the result of placing it beyond doubt that the violation of human rights was only an international crime when it was committed in furtherance of acts of aggression but not otherwise – thus precluding even the possibility that Stalin’s atrocities might one day be condemned by the international community. In many ways the Nuremberg Trial seemed to be the solution to a practical problem: what was to be done with people like Göring or Hess? How to deal with their colleagues and the lesser fry who had run those terrible camps and had initiated the destruction of much of Europe? Churchill’s solution was to shoot them summarily but this was opposed by the Americans and the Soviets for, one may add, different reasons. As Schapiro points out, a number of eminent British lawyers supported the idea of the Nuremberg Tribunal, perhaps, not thinking about the consequences. The consequences are with us in the shape of the completely useless international tribunals, the whole problem of what is a crime against humanity, the constant attempts made by transnational organizations to overcome decisions reached by duly elected democratic governments. There can be no world-wide democracy because it is impossible to create a world-wide rule of law. Probably this will not count as Conservative history in any shape or form but it links in well with the previous posting about J. H. Elliott and Claudio Véliz, who gave the Anglosphere Institute’s inaugural lecture in Washington DC yesterday. 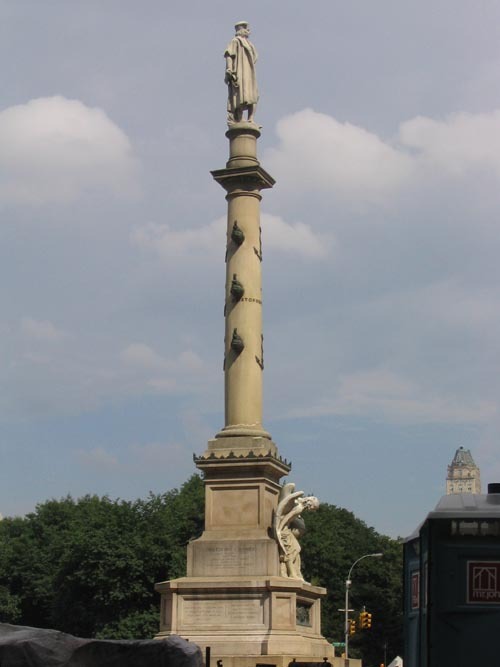 Today is the anniversary of Christopher Columbus’s landing on the island he named San Salvadore and the beginning of the exploration of the New World by the Old. It used to be called Discovery of America but Tory Historian understands that those are words not much in vogue these days. And, of course, one doesn’t quite know how to react to Columbus Day. It is celebrated in the United States by Italian-Americans (and there is a splendiferous memorial to the man himself at the bottom of Central Park, in Columbus Circle, in New York City) but in Latin American countries it is called various other things: Día de la Raza (Day of the Race – an odd name, given the descent of various peoples in Latin America), Discovery Day (not unreasonable though it does raise the question of what was discovered by whom and who knew about it before) and the newly named Día de la Resístancia Indigena (Day of the Indigenous Resistance) in Venezuela. None of which manages to destroy the importance to European and, subsequently, world history of the day on which Columbus and others set foot on “a small island of the Lucayos, called, in the language of the Indians, Guanahani”. For modern historians the argument has, as this blog has indicated before, shifted somewhat from the rather fruitless victim status competition to a discussion of the difference between the way the Spanish and British empires developed and the continuing difference between the countries of the Anglosphere and Hispanosphere. The present leader of the Conservative Party was not as original as he thought he was in his references to the sun being a Tory voter (at least, I think, that is what he said). The poster on the left is one from the 1929 election. I am not sure it is a particularly useful example to look to. The Conservatives did not do particularly well. They won by a small margin the popular vote but lost 132 seats. Labour under Ramsay Macdonald won a total of 287 seats and formed the government with the Liberals regaining some influence in what was a hung parliament. Yet more memories from Tory Historian’s education. 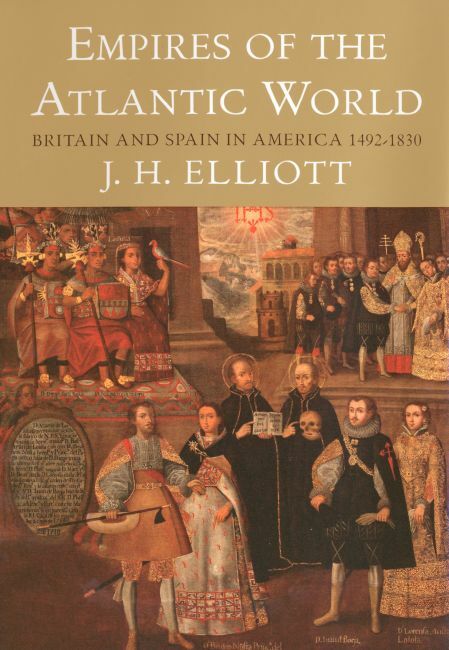 Another name to conjure with was J. H. Elliott, who had written about Imperial Spain. Professor Elliott, I am delighted to report, is still alive and very active, having just produced a new tome: “Empires of the Atlantic World”. This is a comparison between the Spanish and the British Empires in the Americas and some speculation about the reasons why they might have developed differently. As the TLS review by Fernando Cervantes points out, there is also a certain amount counter-factual speculation towards the end of the tome. What would have happened if Henry VII had agreed to sponsor Christopher Columbus’s first voyage or if it had been an English expeditionary force that conquered Mexico? Would there have been a reversal in the two countries? Would England have remained Catholic, the strongest and most active of them in Europe? Or would the inherent national characteristics triumphed and there would have been a direct reversal? How much of the different developments depended on the greater and more integrated control from Madrid than from London (though many of the local agents managed to lose instructions from both)? According to the reviewer this control worked towards the benefit of the Latin American colonies at the beginning. In the seventeenth and early eighteenth century they flourished, were considerably more civilized and, even, humane, especially towards the native population and the slaves. Once the control disappeared, however, it was the North American colonies that began to flourish, using the ideas they had imported and the structures under which they had lived. And the problem of slavery has not yet been tackled properly in many of the Latin American countries. This is not the first comparison of this kind. After all, the difference between the two parts of the Americas is extraordinary and there have to be explanations for that. The first historian to raise the subject was Claudio Veliz in his “The New World of the Gothic Fox”, a book that became one of the basic texts of the Anglospheric thinking. It will be interesting to see to what extent Professor Elliott agrees with Claudio Veliz.